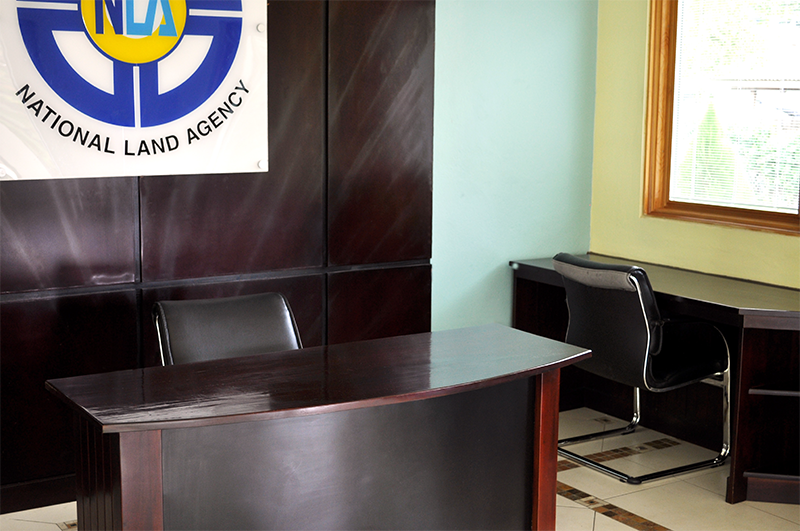 OFFICES, NATIONAL LAND AGENCY | Montego Bay, St. James Once a dilapidated old house with sinking dark green terrazzo floors, we demolished walls, expanded the building and reworked offices and space flows. The new light 24” x 24” porcelain tiles have done wonders in opening up the space and aiding light distribution to a once dark space. 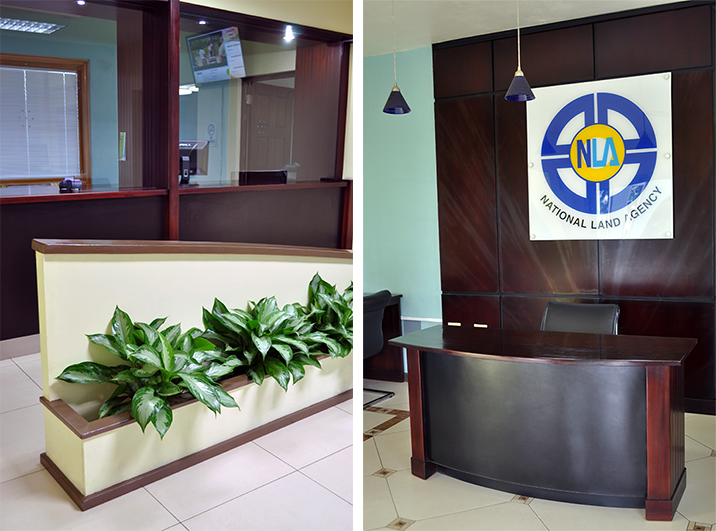 OFFICES, NATIONAL LAND AGENCY | Montego Bay, St. James To give the Customer Service Area its own appeal and uniquely brand it to the NLA. We took a semi-custom approach. 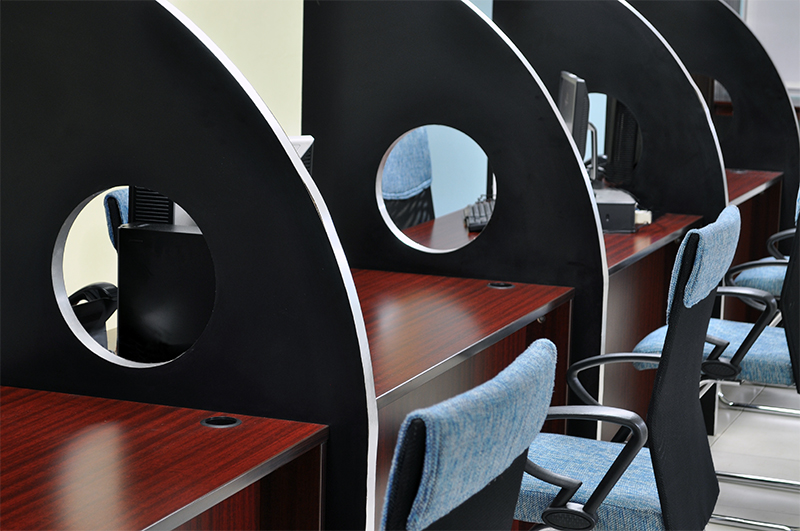 We started with off market desks and chairs and paired them with our custom design workstation partitions of durable black laminate with steel trims. 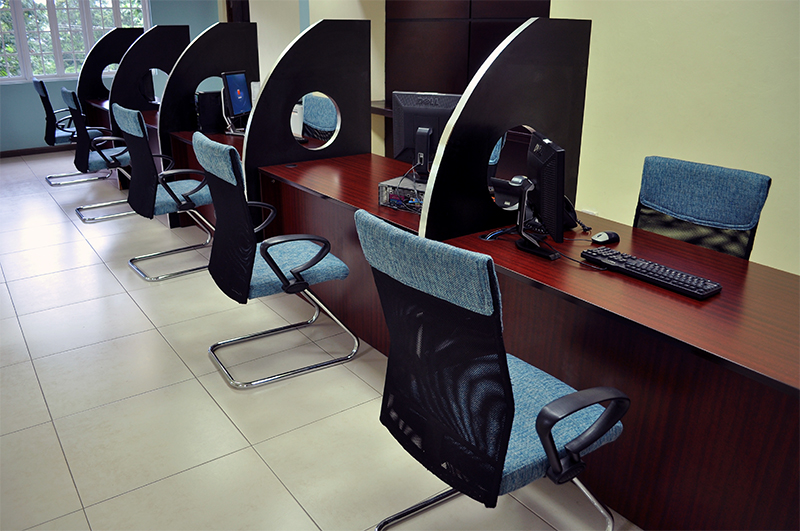 OFFICES, NATIONAL LAND AGENCY | Montego Bay, St. James Our custom millwork and furniture sets this project apart from the customary public service environment. 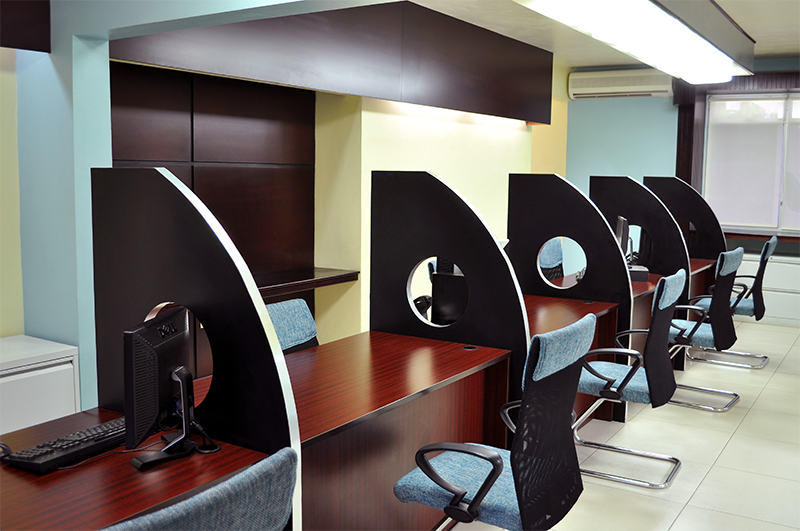 The Cashier Area is specifically designed to meet function and procedures of the NLA. The planter softens the space, bringing the outside in, and most important defines the service area from the waiting area and main traffic flow. OFFICES, NATIONAL LAND AGENCY | Montego Bay, St. James From luxurious wooden wall paneling, to the custom workstations and real stone inlays in the porcelain tiles defining the reception area; the spaces are well appointed to function. 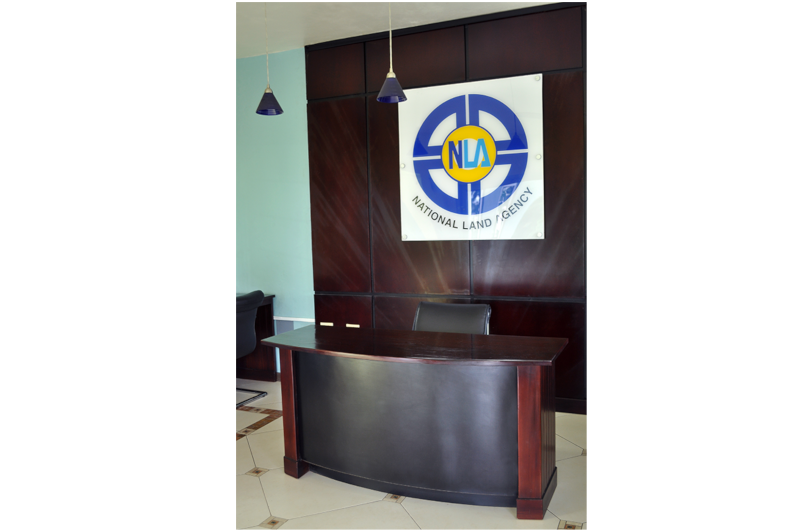 The friendly yet professional colors of the NLA and open floor plan, promises staff and clients a professional, relaxed and welcoming environment for business. OFFICES, NATIONAL LAND AGENCY | Montego Bay, St. James The existing office was dark and foreboding. We specified large windows and window shades that allowed light in, while providing privacy. The cove lighting illuminates the space with a soft defused light. The soffit lighting above the work stations eliminates shadows and provides even task lighting for a pleasant working experience.